This is, quite possibly, the finest soap you have ever experienced. 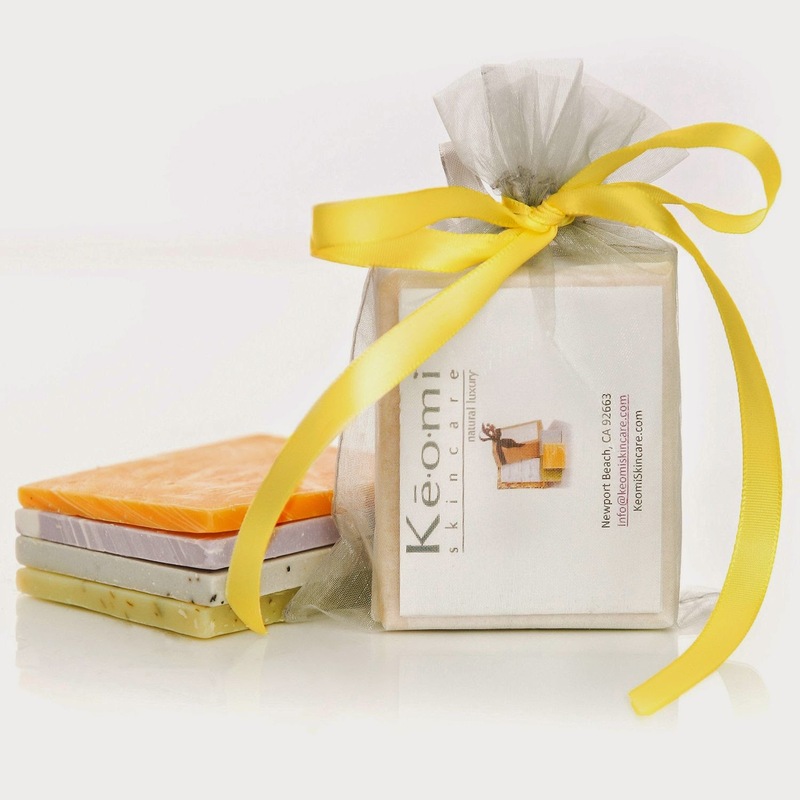 As part of the Keomi Skincare Signature Collection these truly superior handmade soaps are the epitome of Luxury! Each Soap is uniquely fragrant and smells amazing! Our fine soaps are carefully crafted in small batches using the cold-process method to retain the benefits of the living oils. The soap's base is a rich blend of over 10 USDA certified organic vegetable, fruit and seed oils, plus shea and cocoa butters. The complexity of each of the Pure Aromatherapy-grade Essential Oils adds something wonderful and unique to each bar. The result is a superior soap that's healthier for your skin and better for our planet! 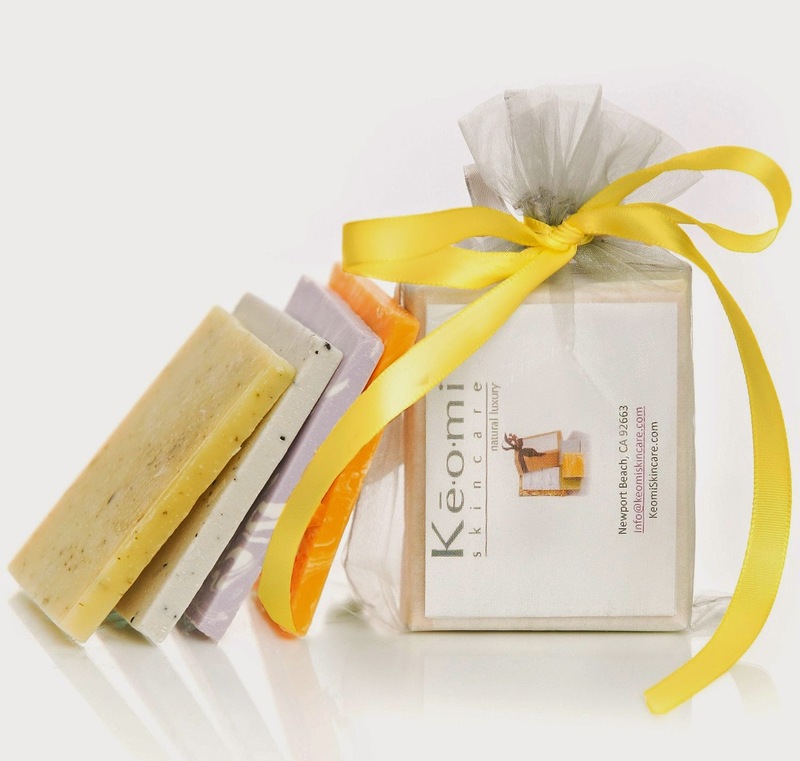 Each Keomi Skincare soap is made by hand using only the highest quality ingredients. Each soap is uniquely infused with a variety of Organic Herbs, Dead Sea Clay & Salt, Seaweed and French Green Clay. 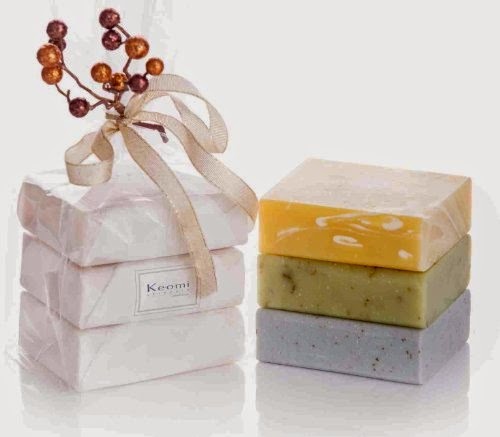 Our fine soaps are super-fatted and derive their beautiful rich sudsy lather naturally, leaving your skin clean and moisturized, supple and soft and never dried out. The All Natural, Organic ingredients ensure that our soap is gentle enough for people with skin sensitivities. 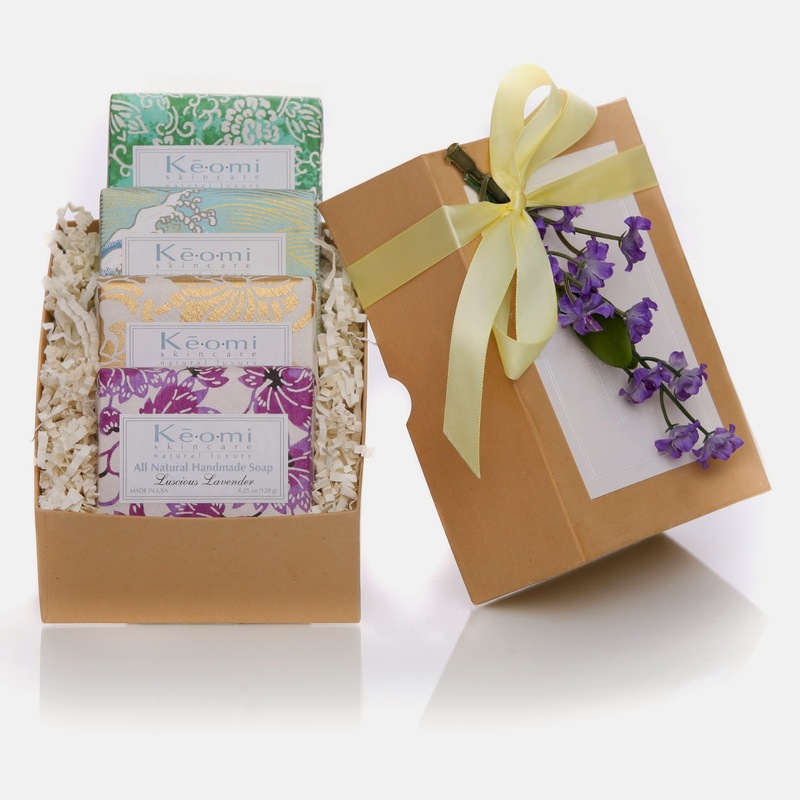 I am very happy to be able to try the All Natural Organic Handmade -Pure Aromatherapy Grade Soaps by Keomi Skincare. I could smell them before I even opened up the box. 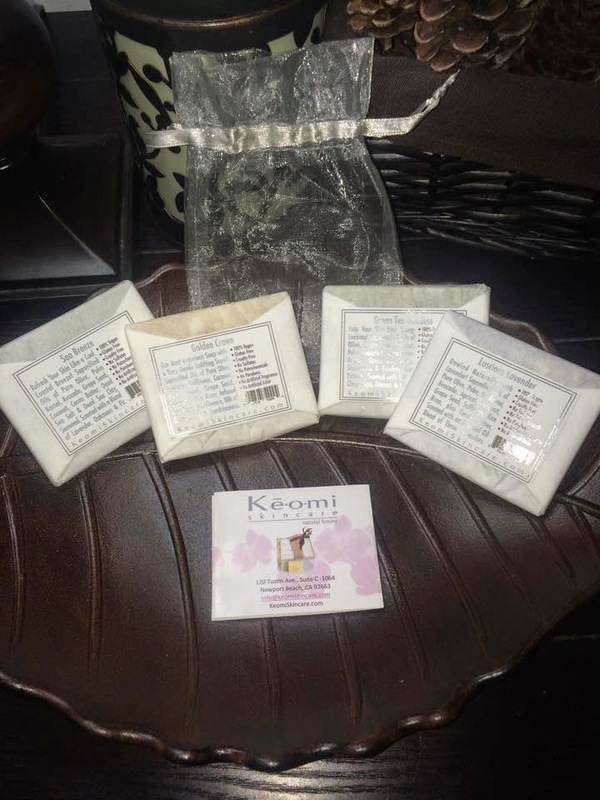 They arrived in a pretty little bag with 4 thin rectangular shaped soaps wrapped individually in paper with a seal describing what soap fragrance was inside each. When I opened the paper to reveal the soap, it was beautifully marbled looking and scent is very nice. I love that it is handmade and has no sulfates, colorants, preservatives and made in the USA. This soap lathers nice naturally without sulfates and leaves my sensitive skin feeling moisturized and clean. These are beautiful soaps and would make a lovely gift for anyone who enjoys all natural aromatherapy and a little pampering.